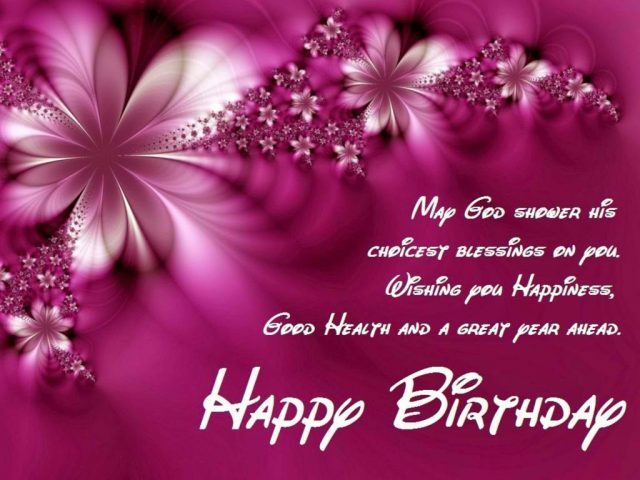 The best list of happy birthday blessings and religious birthday wishes with images. It will give you the unique ideas to send blessings to your loved ones or friends. There are many occasions in life that you can say words of love, best wishes or blessings to your family, dear friends, and loved ones. One of the perfect occasions is the birthday. You even don’t need a luxury car, an Apple watches or something expensive to give because they are not the only things conveying your love. Not to mention the fact that the receivers would not probably be that happily satisfied to take such pricey presents. Therefore, all you need is just fervent wishes and blessings from your heart. Even though those things are just simply quiet words, they mean something beautiful, special and hugely meaningful to the receivers. 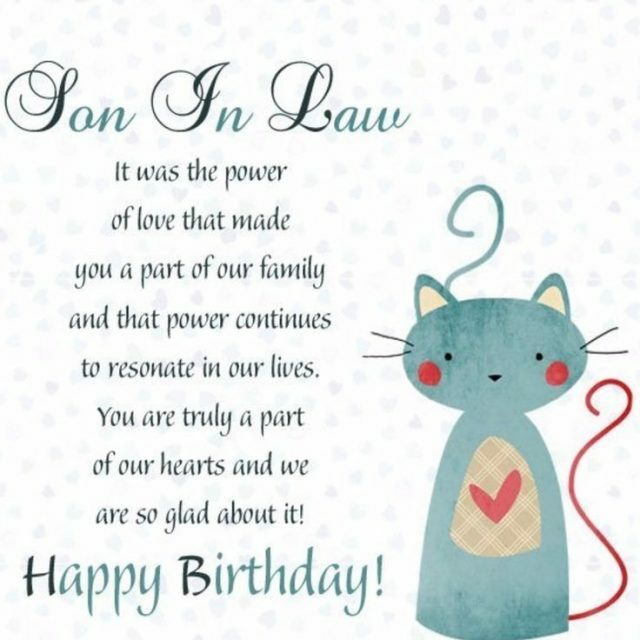 This is one of the best anniversaries that you can express the love from the bottom of your heart to them by meaningful words, greeting cards or gifts. 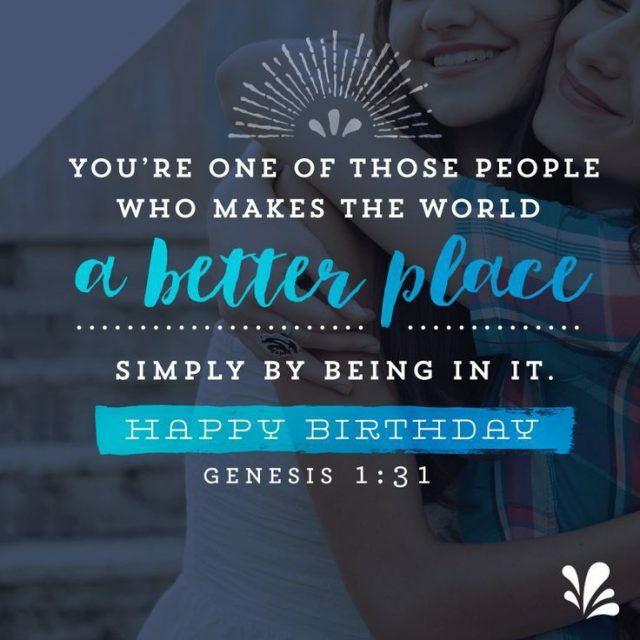 Here are top 50 birthday blessings and religious birthday wishes you can say to those you love. 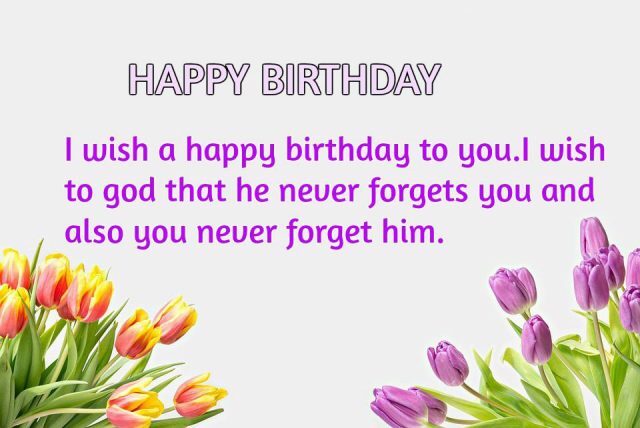 Say directly or send to them via SMS or Facebook messenger and enjoy a happy birthday together. 1. I pray to God to bless your life with lots of good luck. 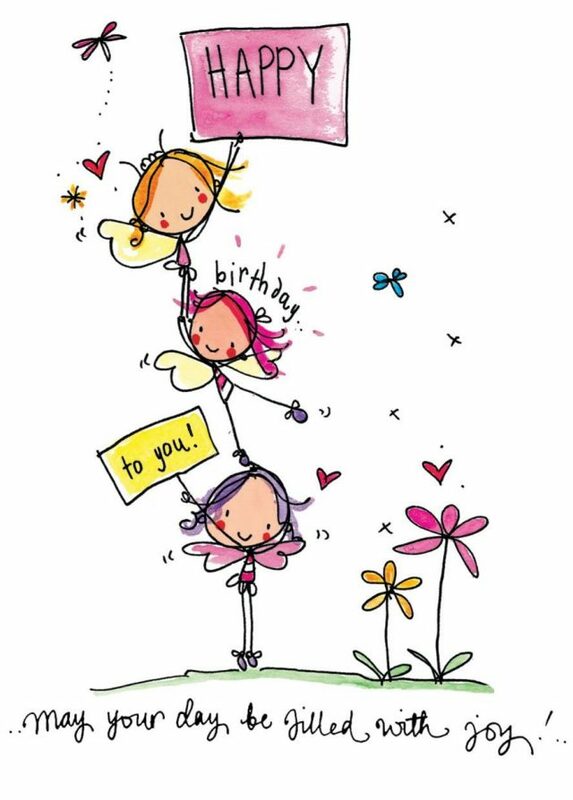 I wish you have a year with lots of love, good health and happiness. Happy birthday! 2. 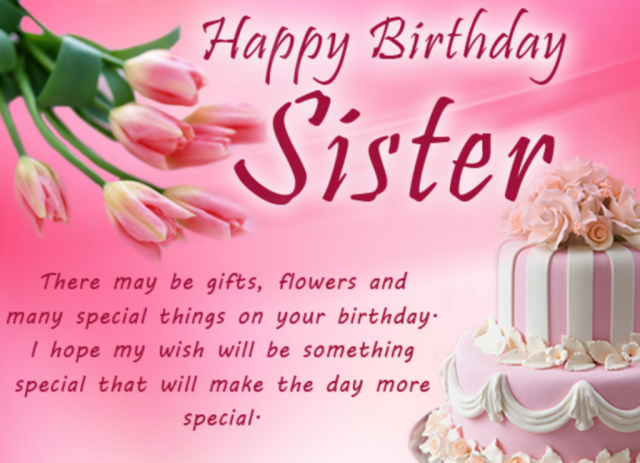 Wishing you lots of happiness and love which will last a life time through happy birthday. 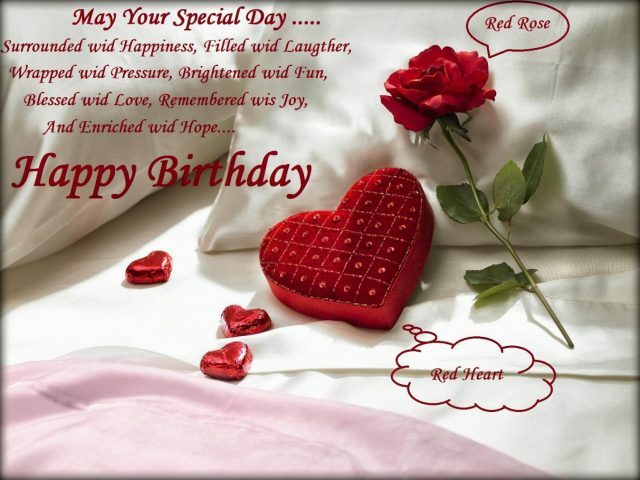 May everything happy and everything bright be yours on your birthday from morning until night. 3. 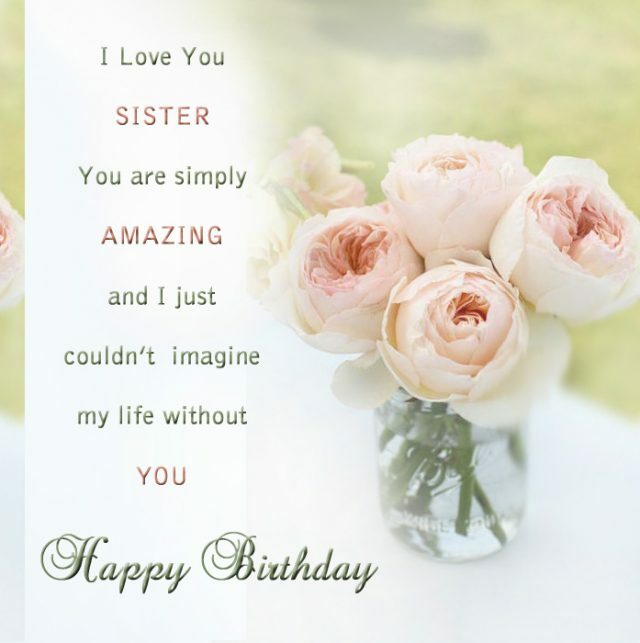 Happy birthday to you with the best everything. 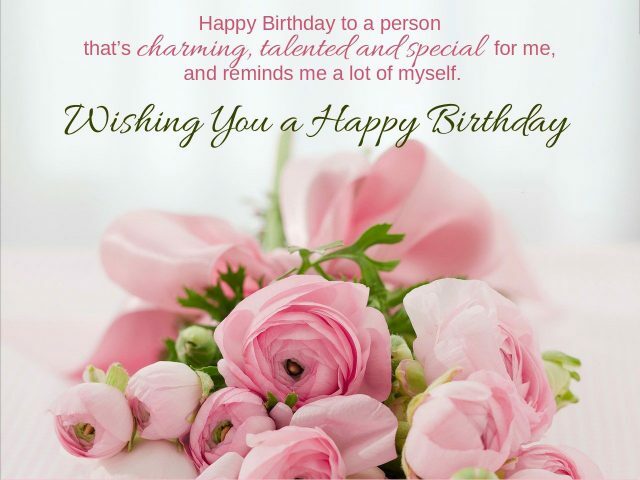 Wish you the most incredible birthday!In this day, you are the happiest person. God will always lift you up whenever you fall down. Just continue smiling, May God bring you everything happiest and brightest that you deserve. 4. 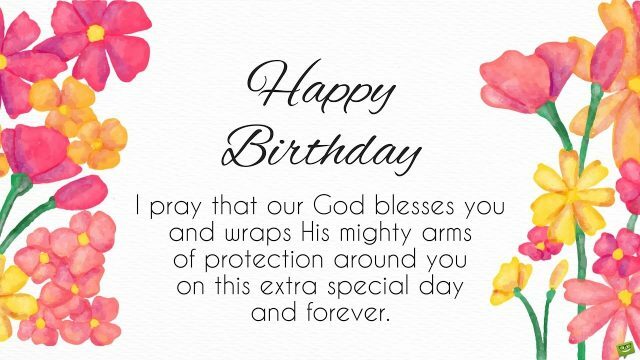 I pray that our God blesses you and protect you on this special day forever. 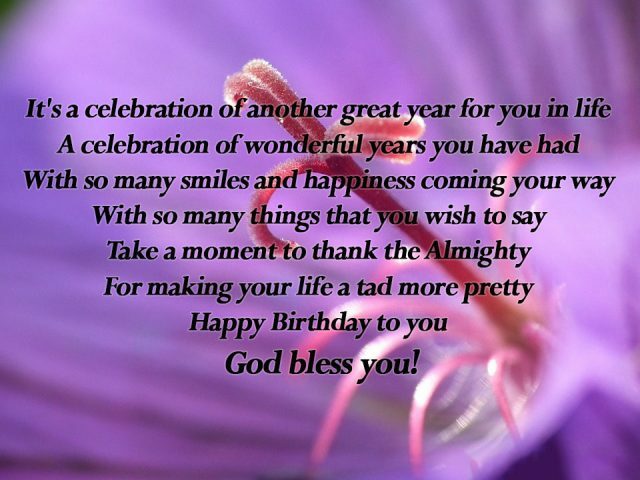 May God’s grace be with you and may His love surround you on this special day and always. 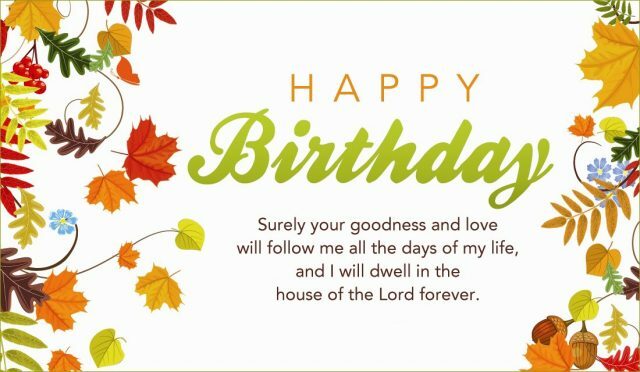 On your special day, I pray that God will continue to warm up your spirit and walk by you in your life. 5. 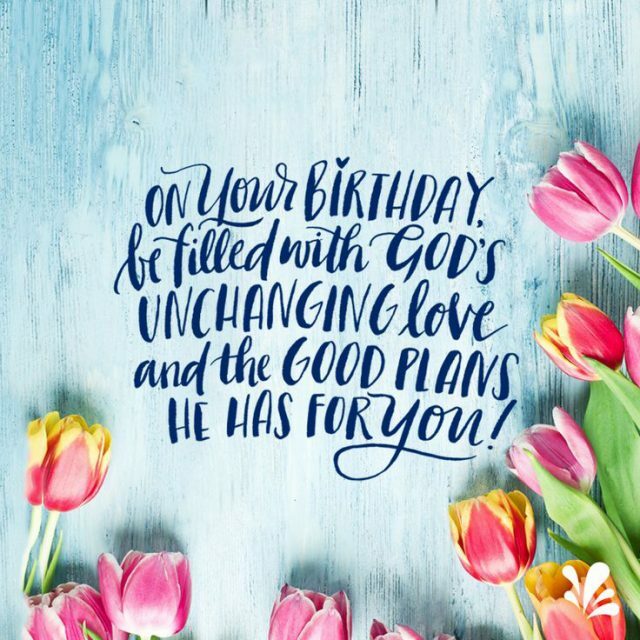 On your birthday, be filled with God’s unchanging love and the good plans he has for you! I pray that God blesses you with all the happiest in this universe. May God continue to bless you with all the greatest things in life. Smile! 6. May you have an amazing year full of love and joy! 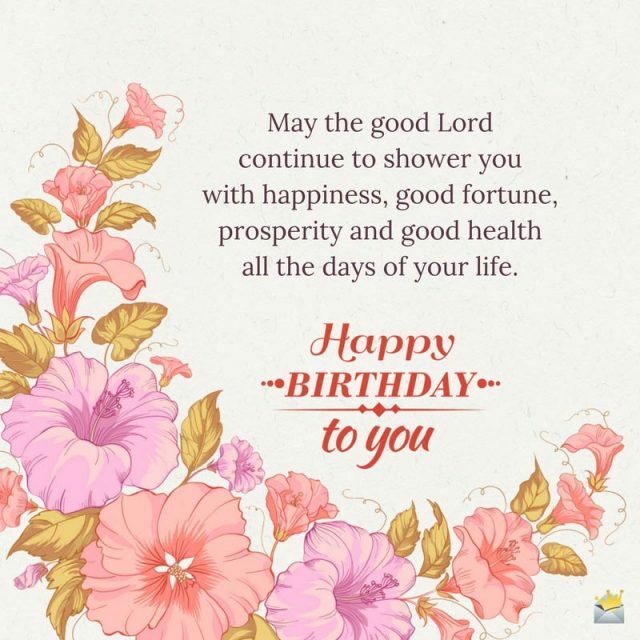 God will richly bless your birthday and each day with joy and happiness.This life will surprise you with the happiness of smiles, the warmth of love and so on. I hope you will be forever happy. Happy birthday. 7. 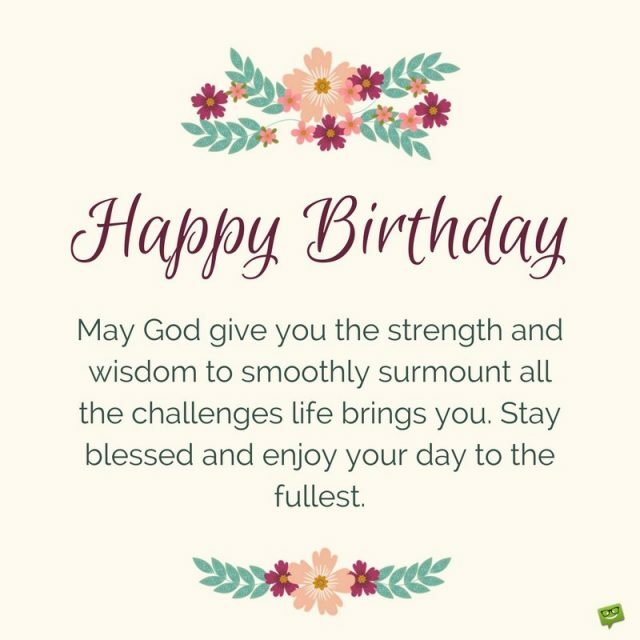 Happy birthday blessings. 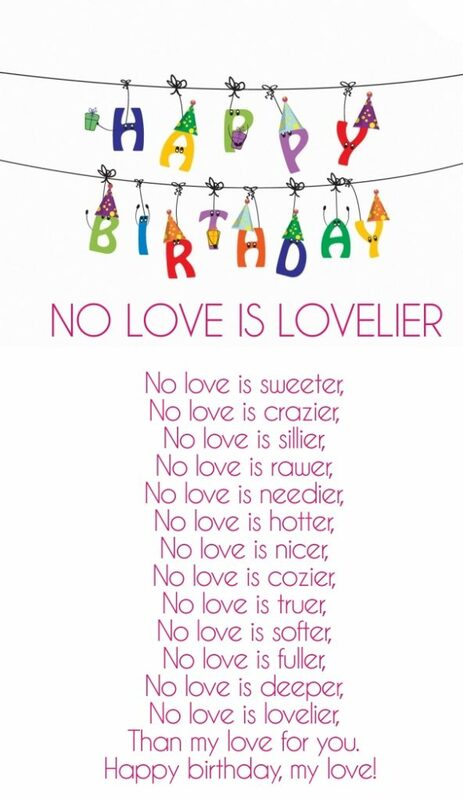 No love is lovelier. 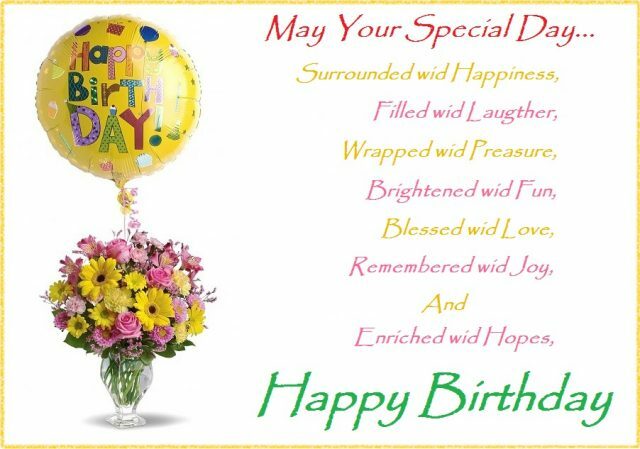 Hope your special day, brings you all that your heart desires! Whatever do you, wherever you do, you will be successful. Happy birthday! 8. 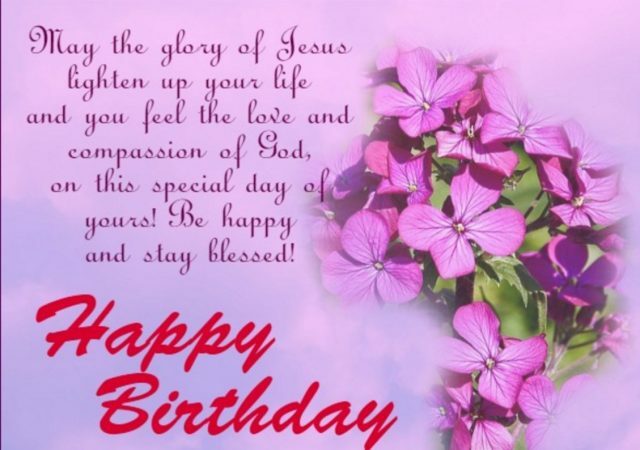 May the glory of Jesus lighten up your life and you feel the love and compassion of God, on this special day of yours. God will make up a year that brings you everything you deserve. Love, fun, success and happiness. You deserve them a lot. Wish you the happiest birthday. 9. 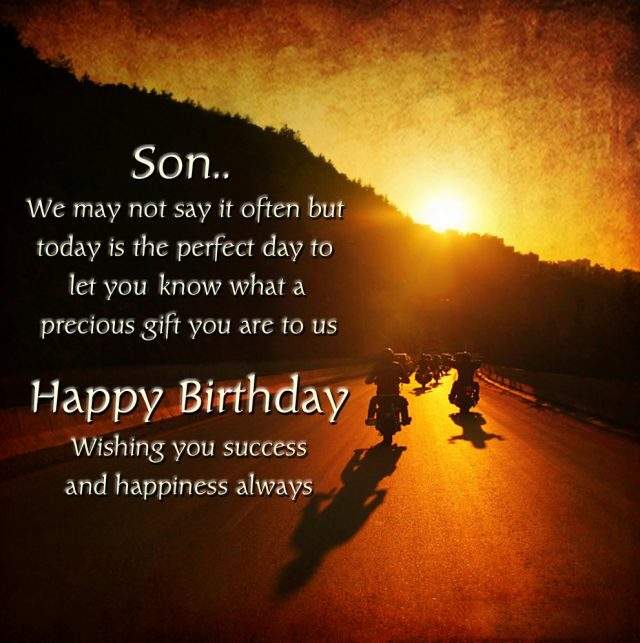 May God shower his choicest blessing on you. Wishing you happiness, good health and a great year ahead. 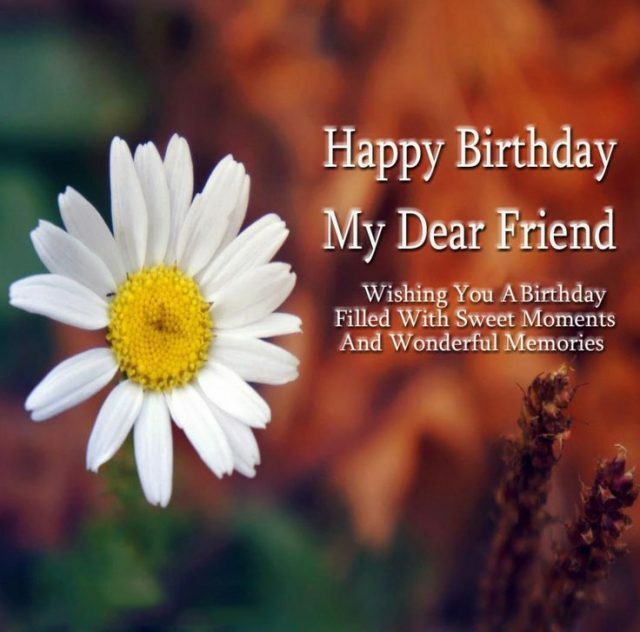 I hope that your special day is the beginning of another amazing year. Happy birthday to you! 10. May your day be filled with joy. After this day, a year of happiness and love is waiting for you. Wish you have a successful year. 11. 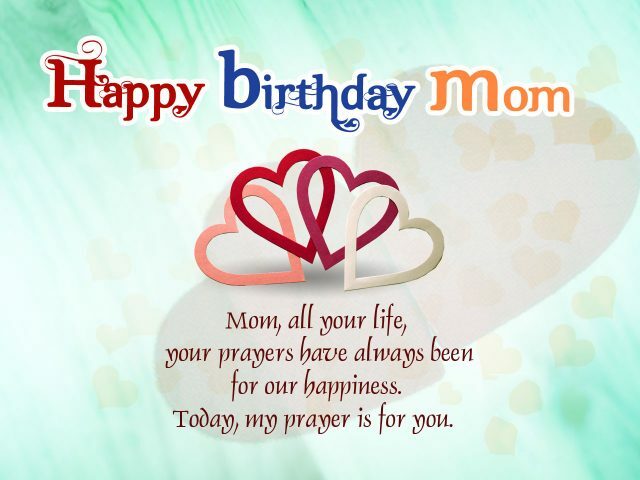 Mom, all your life, your prayers have always been for our happiness. Today, my prayer is for you. 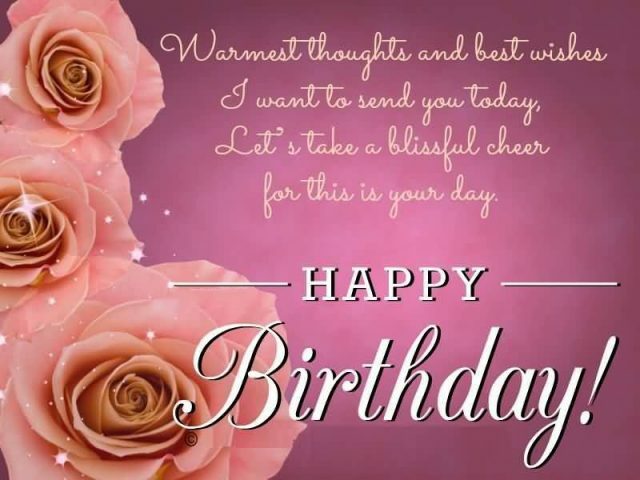 Wish you a birthday, that’s bright and sunny too, filled with love and happiness in every way for you.On your special day, I wish you good luck. I hope this great day will fill up your heart with warmth and happiness. Happy Birthday! 12. 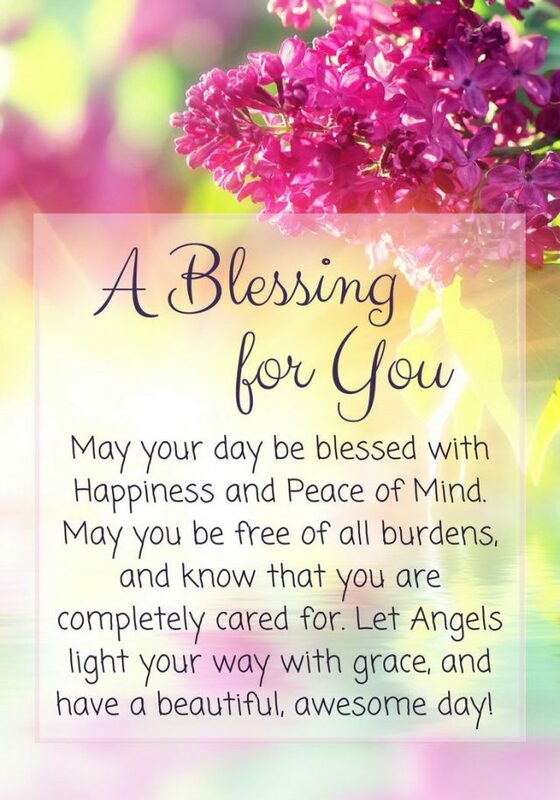 May your day be blessed with happiness and peace of mind. You are a beautiful person, inside and out.No matter what people say about you, good or bad, you are still the most beautiful person in my life. 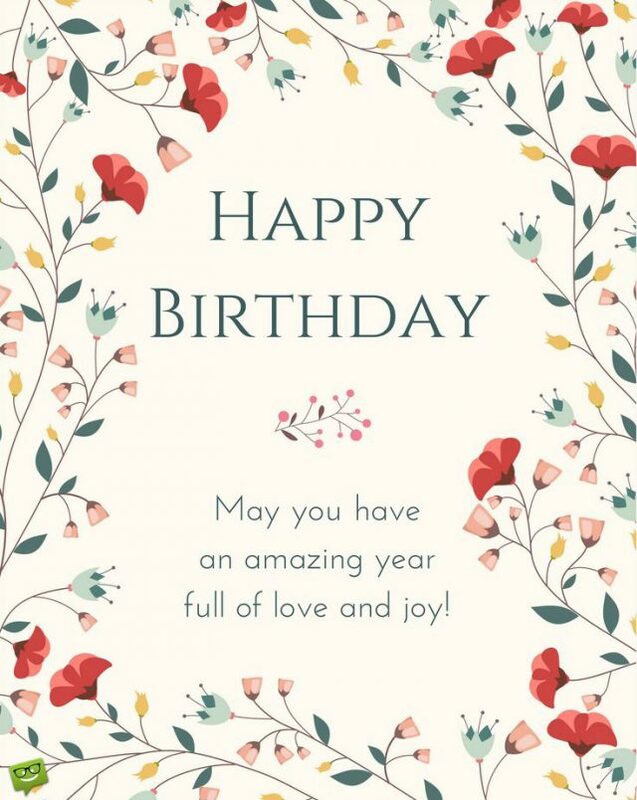 Have a wonderful birthday! 13. It was the power of love that made you a part of our family and that power continues to resonate in our lives. You are very special to me and that’s why you need to always keep smiles and happiness on your face. Happy birthday. 14. May all of your wishes come true. Happy birthday! Special day, happiest person and wonderful celebration. May all your dreams and desires come true in your upcoming years. Happy birthday. 15. May the good Lord continue to shower you with happiness, good fortune, prosperity and good health all your life. Wish you go further in your life journey and achieve your goals successfully! Stay blessed and enjoy your day to the fullest. 16. Wish you all the things you deserve in your extra special day. There’s only one of you, be as unique as you are, take your own journey, step by step you go far. 17. Crank the tunes, dance and shake. Make it a day that’s simply great! Let’s light up the candles, sing a song, and celebrate this special day. Happy birthday. 18. I appreciate the time we spent together. We continue to love you. I pray for long life for you. Being with you in this life makes me the happiest person in the entire world. Let me rise in the morning and be always with you! 19. 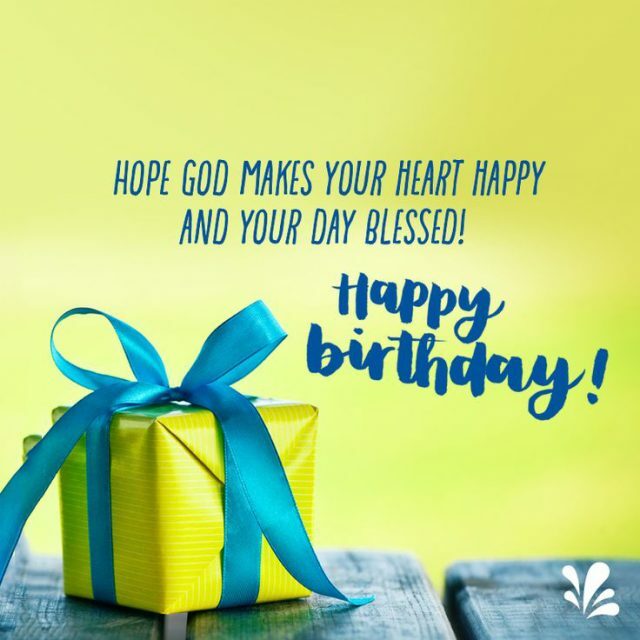 Hope God makes your heart happy and your day blessed. Late in the evening, far away, there is a glow, beyond the horizon, and my heart knows that is you!You are always the person who makes my day. And I know I will be always such happy being with you. 20. Hope you have a day that has ‘God loves you’ written all over it. Just continue smiling, May God bring you everything happiest and brightest that you deserve. 21. 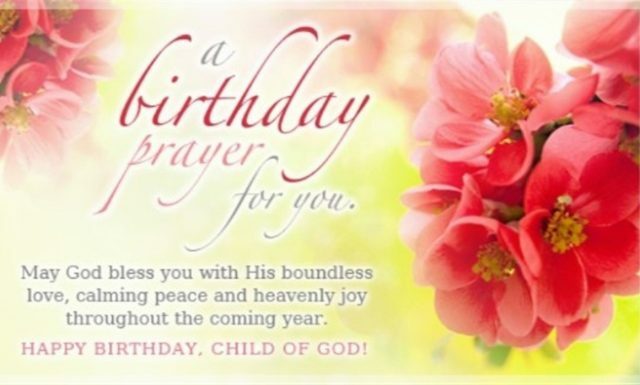 May God bless you with His boundless love, calming peace and heavenly joy. Everything is right in your hand. Just take your chance and make a wish. You will do it! 22. God blesses you with all the happiness in this universe. Thank you for being with me this past year. Wish you the next years of success with lots of happy memories. I believe failures can not let you fall down anymore. 23. 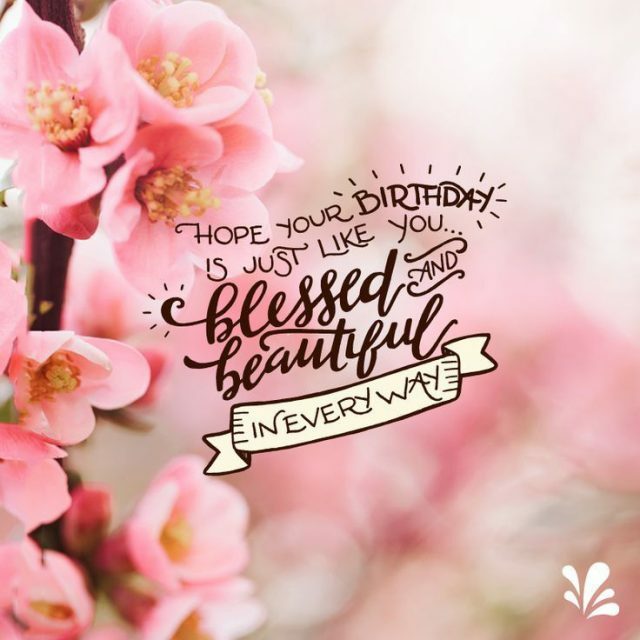 Hope your birthday is just like you – blessed and beautiful in every way. As you journey on your own life, through another year of wonderful things, may God always bring you smiles on your face. Happy birthday! 24. May God give you the strength and wisdom to smoothly surmount all the challenges life brings you. You’re one of the best people I’ve met, and so you deserve the best. Thanks so much for coming into my life and being with me everytime I’m in need. Have a very happy birthday. 25. 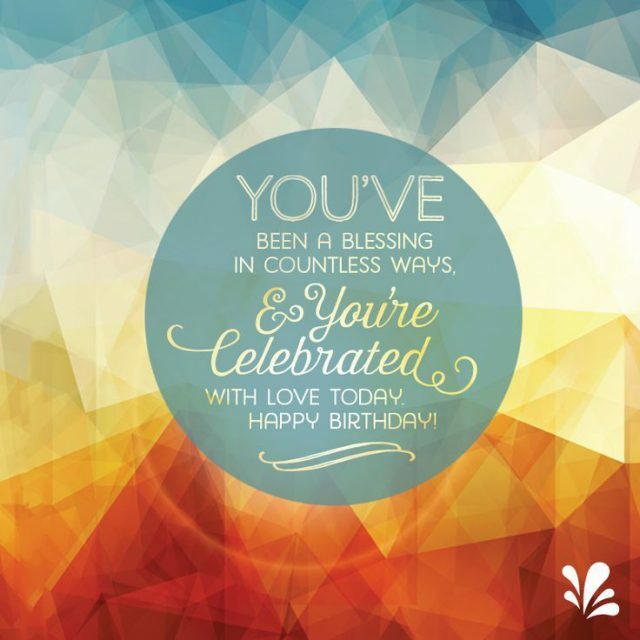 Celebrating the blessing you are and the joy that you bring. Time won’t let me say how caring you are. May God bless for the kind of person you are. 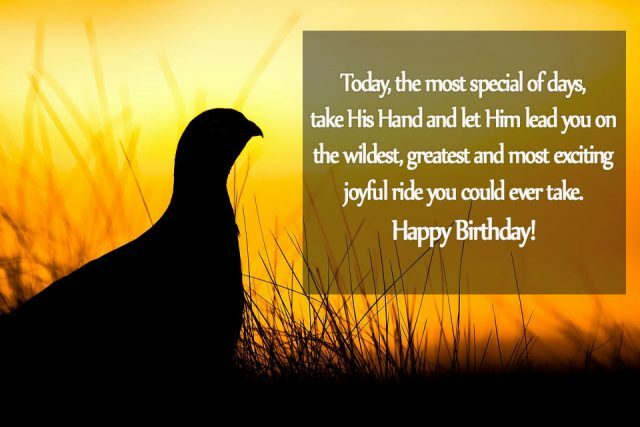 May this special day bring to you the greatest favor. 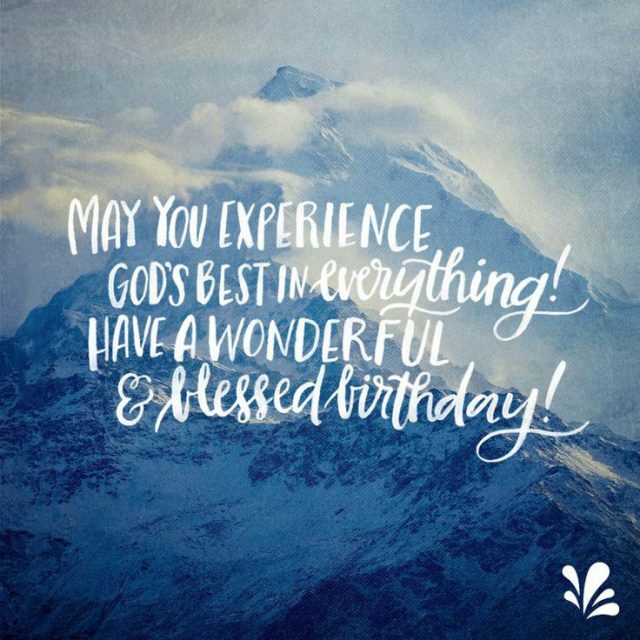 Enjoy your birthday! May the Almighty grant all your heart’s desires, remain the way you are. The blessings of Almighty will remain, bring you luck and help you go through all the obstacles in life. Happy birthday! 2. May you experience God’s best in everything. Almighty forever stands by you whenever you are in need. He will give you what you want and give you brave, strength to strive. 3. Late in the evening, far away, there is a glow beyond the horizon, and my heart knows that is you. To me, you are the sun lighting up the dark sky in my life. I know that you will always stand by me, take my hands and together lead me to the end of the way. Thank you and happy birthday. 4. I wish you were always around. It’s so funny how age makes you change. In the past, we had played and together gone through a lot of hurdles. I could not be brave and strong like I am now if it weren’t for you. Thank you. Happy birthday! 5. Every child’s dream is to have a kind and understanding father. That’s why I am lucky to have you. Thanks to Almighty for letting me be your child. I know I am the luckiest person in the world to have such a great father. 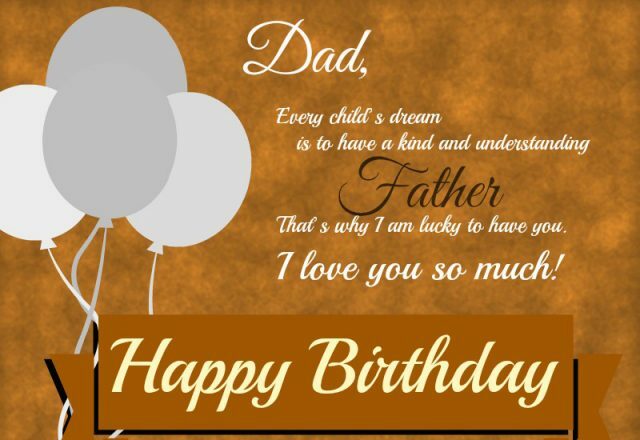 I love you, Dad. Happy birthday! 6. You’re one of those people who makes the world a better place, simply by being in it. God has created this world, that is so great. However, it is greater for this world to have you in. Do you know that you are the one who makes this world a better place? 7. 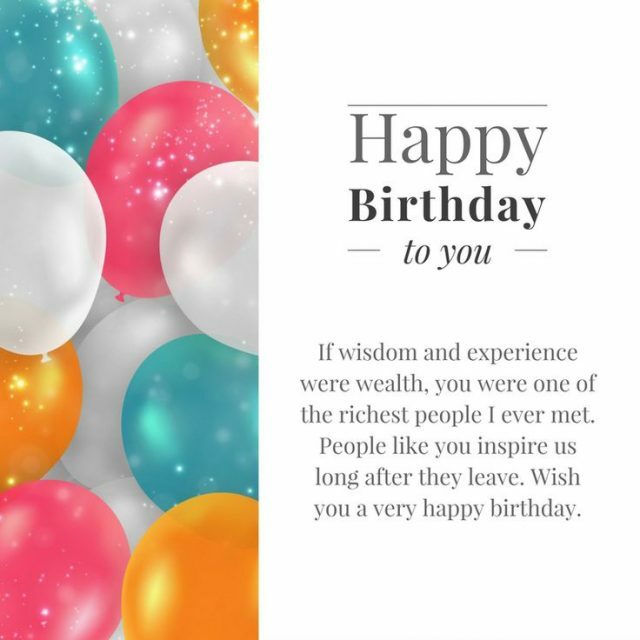 If wisdom and experience were wealth, you were one of the richest people I ever met. I never knew how strong and positive I was until the moment I met you. You inspired me everytime I was down. You lifted me up every time I fell. 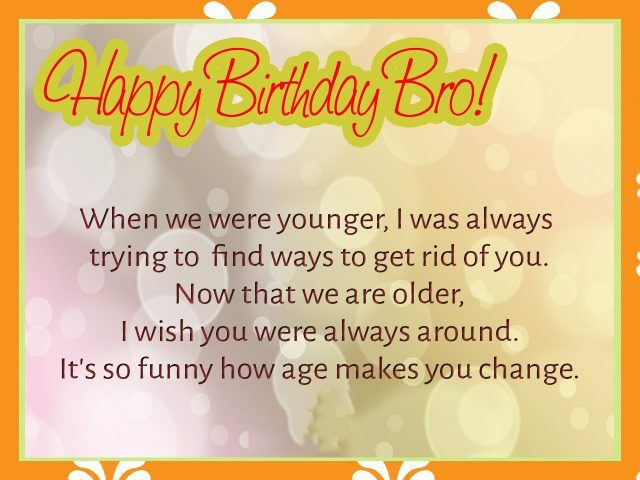 Wish you have a very happy birthday! 8. Blessed is the man who trusts in the Lord. 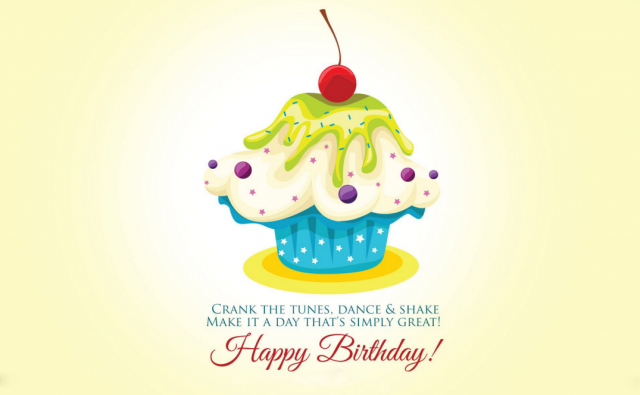 Have an awesome birthday! 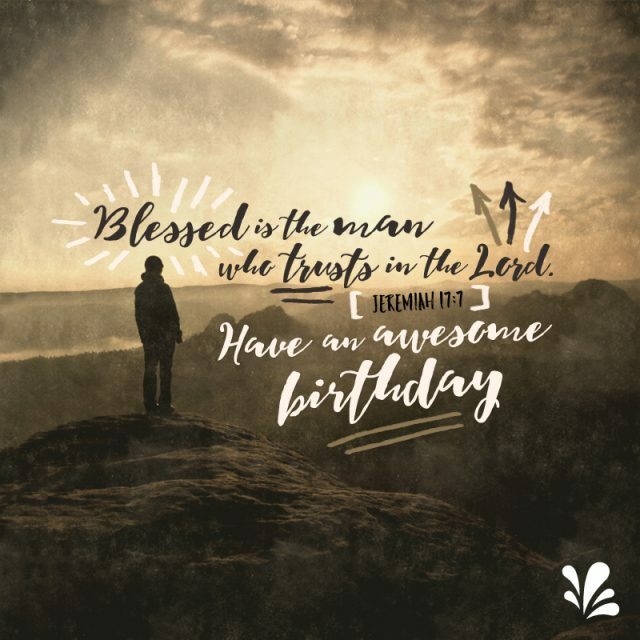 The Lord has known that there will have been a wonderful person in this world, that is you, since before you were born. It was that gorgeous moment when I met you. 9. 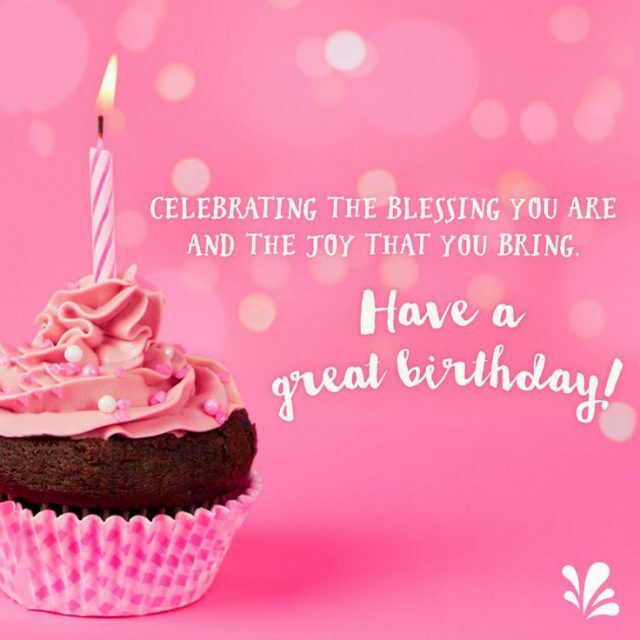 Wishing you a birthday filled with sweet moments and wonderful memories. Almighty has brought you to this world. You were wonderfully and beautifully made for us. Thanks for coming into our life. 10. You are simply amazing and I just couldn’t image my life without you. I hope you are even more positive, beautiful and find more meaning in your life in the coming year. 11. 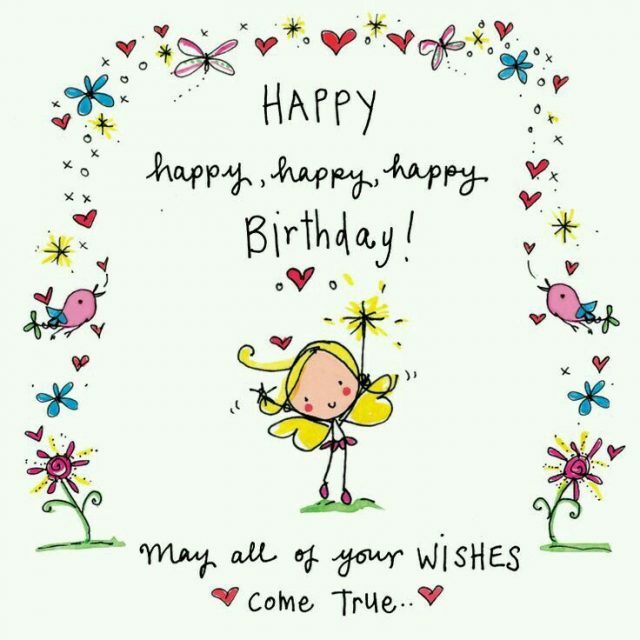 I hope my wish will be something special that will make the day more special. I’m happy you were born into this world, but I am even happier for what you do for me and people around you. 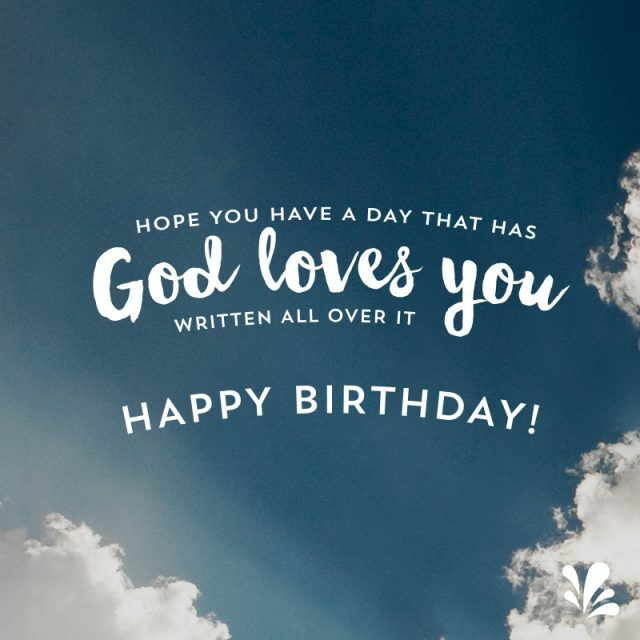 I pray God fills your life with His love on your birthday. 12. We may not say it often but today is the perfect day to let you know what a precious gift you are to us. Faith told us that we would have the most beautiful gift in life, and you are sure the gift He talked about. God has provided what we needed. 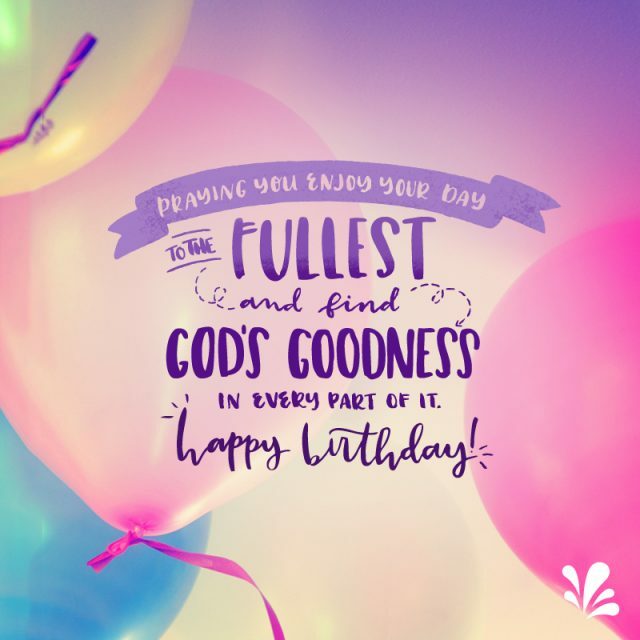 Your birthday is the special day God creates for us. 13. A celebration of wonderful years you have had with so many smiles and happiness coming your way. 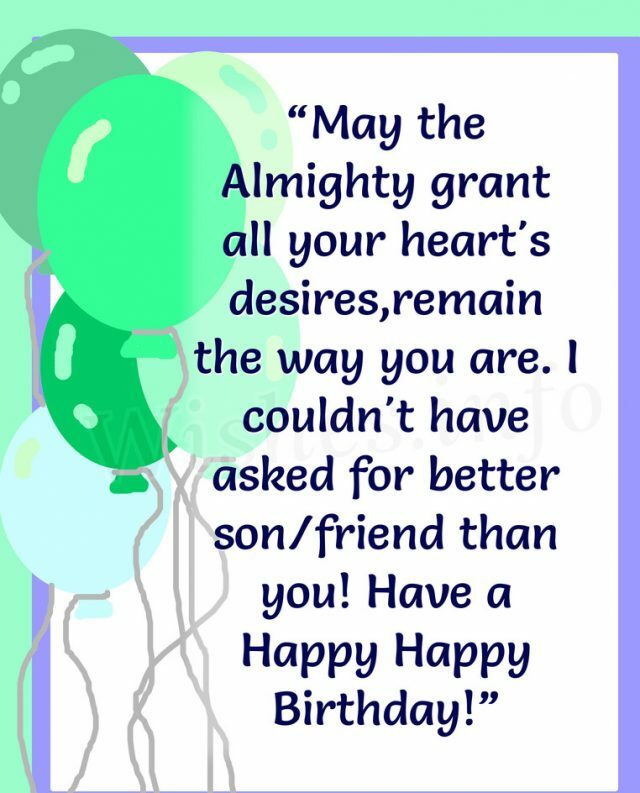 Birthdays are a perfect time to remember that Almighty has brought a wonderful person into this world. You are the best one I ever met. Take that moment to thank Almighty. 14. You’ve been a blessing in countless ways. And you’re celebrated with love today. Today, you will be given lots of love, happiness, and blessings from everyone who loves you. Stay blessed and enjoy this moment! 15. 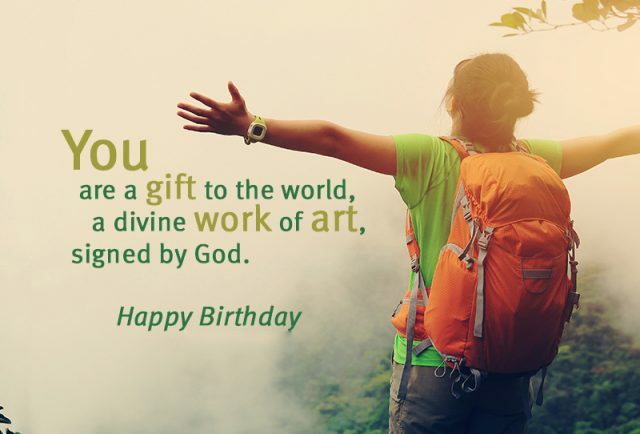 You are a gift to the world, a divine work of art, signed by God. I believe God knew you before the moment you came to this life. I’m sure He still has many more great plans for your life. I will continue to pray for your life. 16. 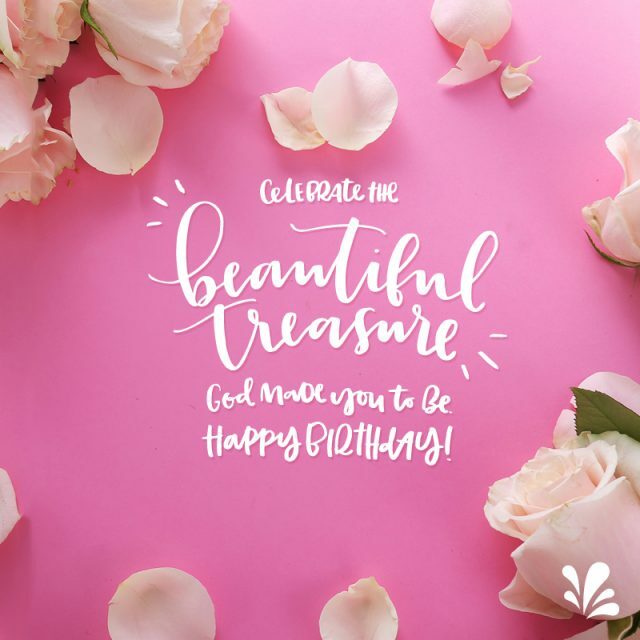 Celebrate the beautiful treasure God made you be. On this day, may you feel the love from everyone in our life! Enjoy your day and what you deserve. Happy birthday! 17. 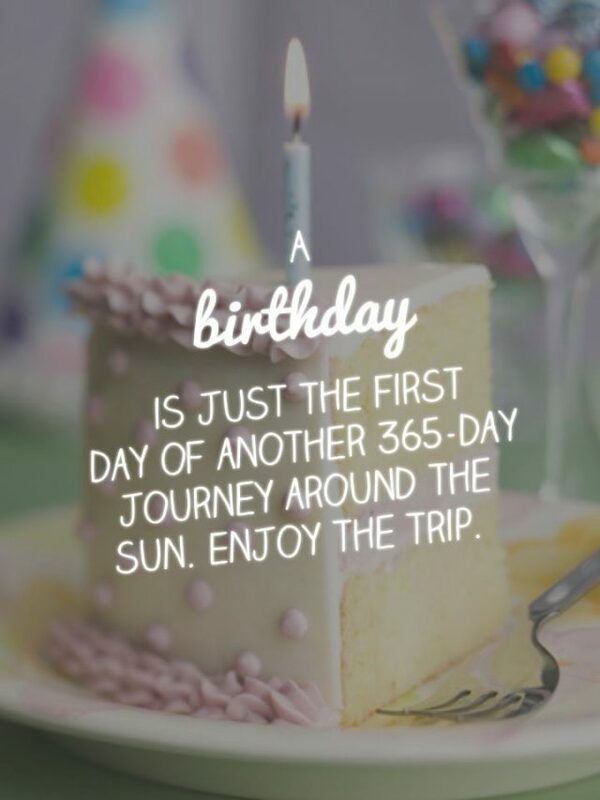 A birthday is just the first day of another 365-day journey around the sun. Enjoy the trip. On the long life journey, you may be struggling with difficulties, you may cry. But don’t forget there are so many people around you who love you so much. Be strong, be brave and continue going ahead. Enjoy the trip. 18. I wish to God that He never forgets you and also you never forget him. 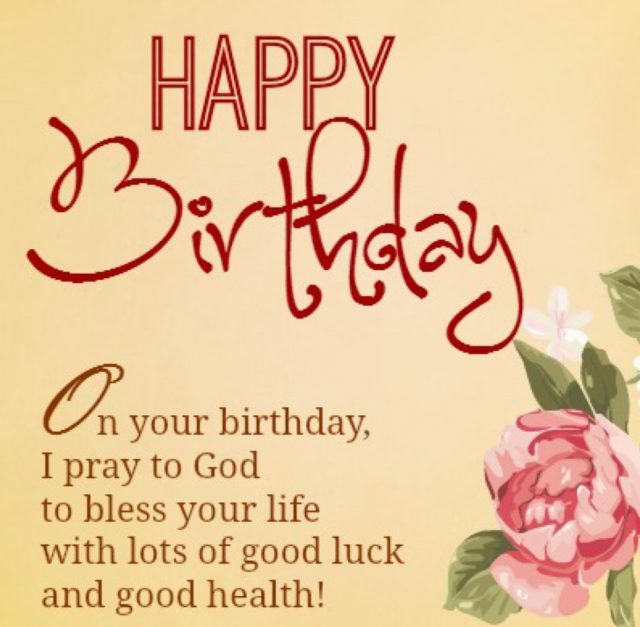 I wish a happy and blessed birthday to you. May our God continue to guide and direct your way, watch you grow up. I pray that God continues to bless you beyond measure. 19. May God give you a long healthy and self-satisfying life ahead. God has special presents and plans for each one of us. The reason why you’re alive today is that you still have unfulfilled desires and dreams to accomplish. May you soon realize it. 20. Surely my goodness and love will follow you all the days of your life. 21. 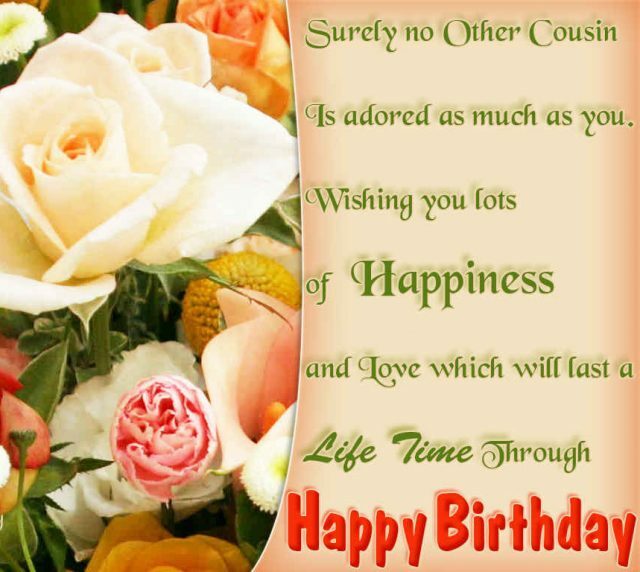 Warmest thoughts and best wishes I want to send you today, let’s take a blissful cheer for this is your day. 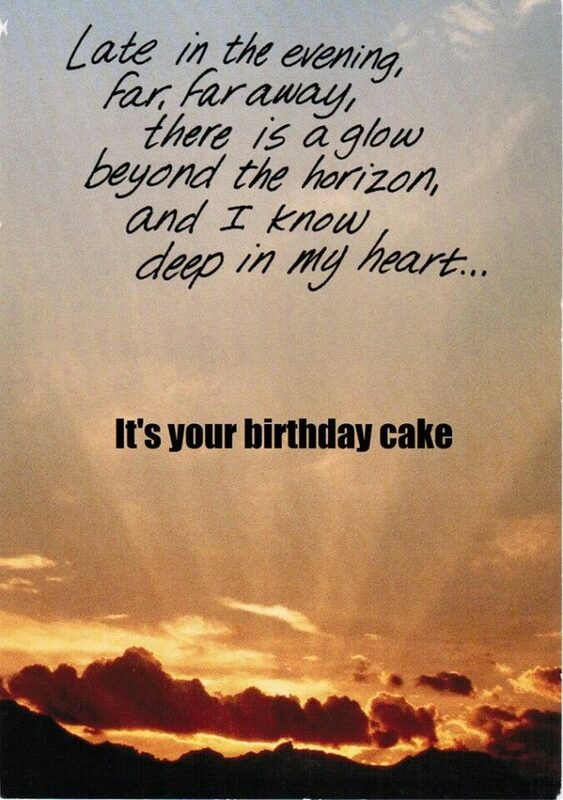 God helps those that believe in themselves and those who celebrate more birthdays be forever young. Happy Birthday. 22. Praying you enjoy your day to the fullest and God’s goodness in every part of it. My wish for you is to be happy, enjoy your life trip. God will follow you in every part of your life, and that you will continue to succeed in all you do. God bless you. 23. Happy birthday to a person that’s charming, talented and special for me, and reminds me a lot of myself. 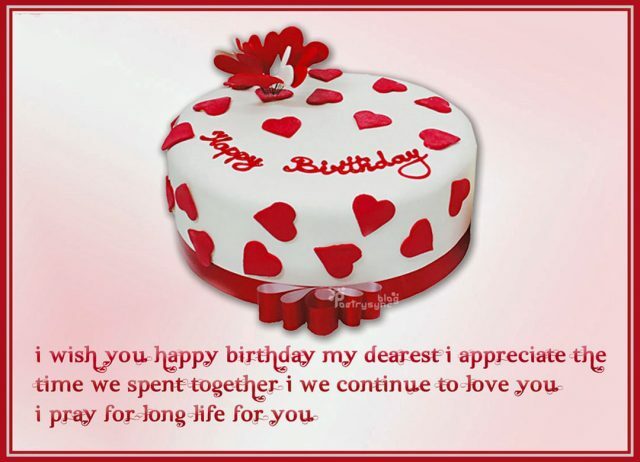 To the person who has always been with me in every path of life, my partner in difficulties and my love, happy birthday. I am glad to have you in my life. 24. Today, the most special of days, take His Hand and let Him lead you on the wildest, greatest ride. 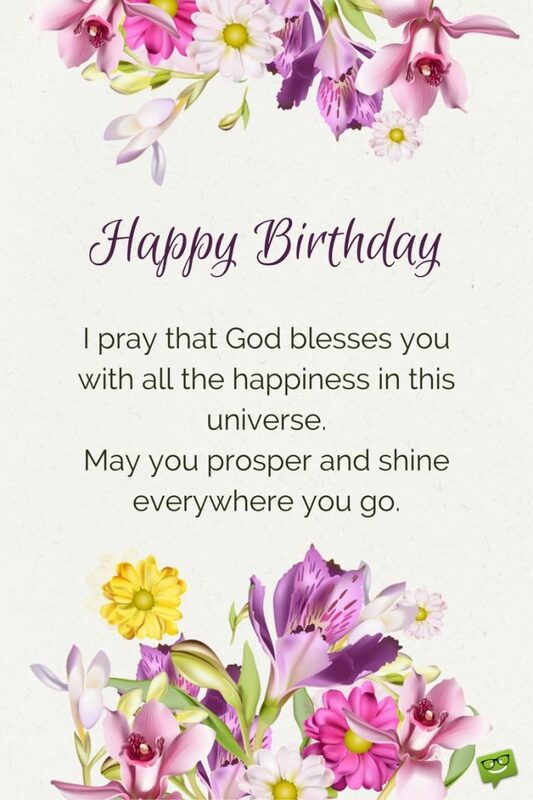 Hope that God brings your birthday peaceful moments, so you can take it easy on your blessings and remember how wonderful you are to me and to all the people in your life. 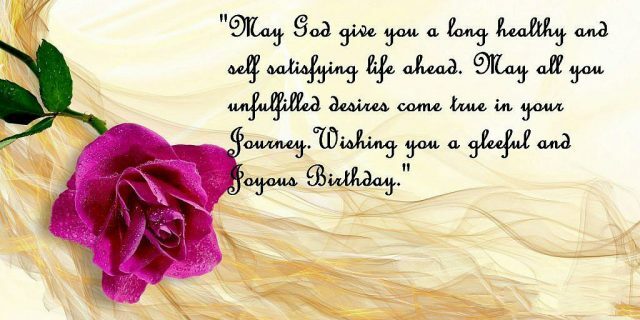 Wishing you a very Happy Birthday. 25. 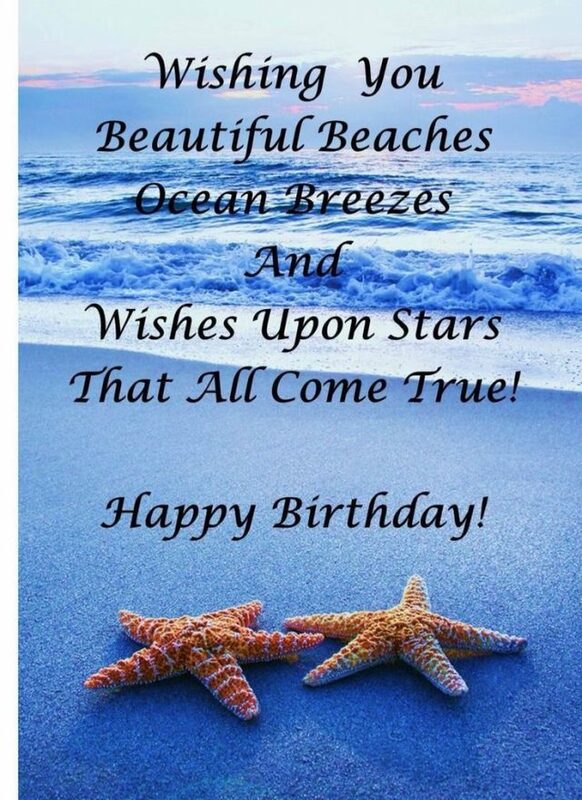 Wish you beautiful beaches, ocean breezes and wishes upon stars that all come true. The stars in the night sky are the spotlight for you, leading you on the way of your life, and they are turning into fireworks out there to celebrate your special day!